It’s no secret that I adore Juliet Marillier and her beautiful and whimsical historical fantasy novels. I generally try to space them out, but I am getting towards the end of all the books she’s written (so far), so it has been a while since I have picked one up. Anyway, approaching the end of the year, I was in dire need for a comfort read, and I was very eager to give this standalone novel a go. 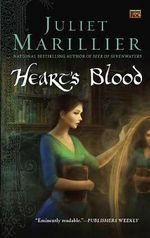 “Heart’s Blood” by Juliet Marillier is a historical fantasy novel that reimagines the classic story of “Beauty and the Beast“. The story follows a young woman called Caitrin who is on the run from her abusive family home. Trained as a scribe, when she hears of a job vacancy at the mysterious fortress known as Whistling Tor, locals warn her against it and the disfigured chieftain called Anluan. However when Caitrin arrives, she finds that fear of the known is far worse than fear of the unknown and soon settles into the strange rhythm of the household. While she attempts a seemingly insurmountable task that others before her have failed, she discovers that ugliness is often much more than skin deep. 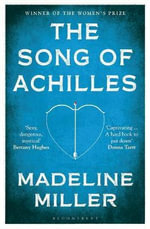 Marillier, as always, gently coaxes into life sensitive and well-considered characters who overcome hardship and find strength and comfort in one-another. Marillier’s book are and continue to be incredibly inclusive and tackle modern issues through a historical lens. Although this is not the first book of hers with a character with a disability, this book is the first book of hers I have read that really explores the issue of family violence. I thought that she handled Caitrin’s experiences, and the toll they took on her self-esteem and identity, very adeptly and drew out the issues of vulnerability and courage for both Caitrin and Anluan very well. I also really liked that Marillier again made a main character with a disability someone who is capable and desirable. However, this wasn’t my favourite of Marillier’s books. The plot twist about the true nature of the evil at Whistling Tor I saw coming a mile away, and I felt like a large proportion of the book was spent waiting for the ending I knew was on its way. While I did fully respect that Marillier incorporated themes of family violence into her book, I felt that it could have been a little less distant relatives come take advantage and a little more close to home like unfortunately so many domestic violence stories are. I also felt a little that the way that part of the story is resolved got a bit Jane Eyre towards the end with a bit of deus ex machina in the form of a cart of people going by at just the right time. Regardless, this is a sweet and enjoyable story and a unique retelling of a classic fairy tale. I read this book in no time at all, and look forward to the next Marillier book I tackle. Earlier this year I had grand plans to participate in the Man Booker 50 Challenge to celebrate 50 years of one of the world’s most prestigious literary prizes. I was going to try to read as many Man Booker Prize winners as I could by the deadline to go into the running for tickets to the Golden Man Booker Prize award night in the UK. Anyway, although I picked up a bunch of previous winners, I only managed to read one in time. The others stayed on my bookshelf, waiting for the right opportunity, and when I went on holiday recently I decided to take this one with me. 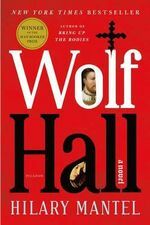 “Wolf Hall” by Hilary Mantel is a historical fiction novel about self-made man Thomas Cromwell and his role in the court of Henry VIII. The story begins with Cromwell as a young boy in a dysfunctional family at the turn of the 16th century. The novel progresses in fits and starts and follows Cromwell’s rise to power and fortune as a lawyer, entrepreneur, moneylender and confidant to England’s most powerful people. Given the popularity of books about the Tudors, I think it’s safe to say that this is the book about the Tudors. Mantel has an incredibly immersive and detailed style of writing, and transports the reader directly into the grand halls of Henry XXIII’s kingdom. She writes in first person which makes you almost feel like the story is happening in real time. She unravels the genius of Cromwell’s mind, and weaves a story of subtlety, opportunity and shifting alliances. I really enjoyed the depiction of Anne Boleyn, and incremental trade of intimacies between herself and the king. I think probably the only thing that I struggled with is just the enormous amount of politics. I find reading about political intrigue a bit of a challenge at the best of times, and it’s a testimony to how good this book is that I managed to get through most of it pretty easily. However, considering this a book built almost completely on political history, occasionally it does feel a little bit relentless. Anyway, this is one of those books that I feel absolutely did deserve a Booker Prize, and if you’re a fan of Tudor history this is the book for you. A little while ago I was invited to convene a panel at Muse Bookshop with two fabulous authors, and this is the second book. 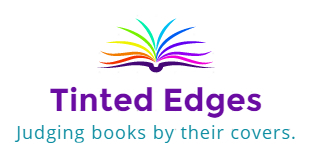 “Book of Colours” by Robyn Cadwallader is a historical fiction novel set in London in 1321. The book follows three people linked by the creation of an illuminated book of prayers. There is Lady Mathilda, for whom the book has been commissioned. There is the talented and a little roguish limner Will, walking as far as he can from a past he wants to escape. Then there is patient yet frustrated Gemma, the limner’s wife who dreams of recognition if not for herself, for her daughter. Each character is inextricably linked by the illuminated book, and none will come away unchanged. This is the second book I’ve read by Cadwallader, and she truly knows her subject matter. Cadwallader immerses the reader in medieval life, and invites the reader to walk with her through the muddy London streets. This book is a fantastic example of an author getting the balance of detail just perfect. Cadwallader uses enough meticulous research to breathe life into a story, but weaves it delicately into the tapestry of the novel without it overwhelming the book. Another thing about Cadwallader’s writing that stood out to me again is her ability to create such complex characters who are relatable despite being set in a world nearly 700 years ago. Cadwallader’s characters grapple with universal themes of interpersonal conflict, guilt, love and ambition. Will is a bit of a chameleon, constantly shifting and compelling though perhaps not ever entirely likeable. Mathilda has to wear the more traditional female costume society has prepared for her, but is forced to step up when her living situation changes drastically. I think Will and Mathilda were interesting enough, but for me it was by far Gemma who stole the show. It was her chapters I couldn’t wait for. It was her little limner’s tidbits that I scoured greedily. I loved the interplay between her warm, maternal side and her unacknowledged but fiercely capable side as a limner. Not unlike the way I felt about the suggestion of the haunting in “The Anchoress”, I wasn’t quite sure about the gargoyle in this book. However like the marginalia dancing in the borders, or perhaps even like the rose in John’s illuminations, I’m starting to think that perhaps a touch of supernatural is Cadwallader’s watermark. A fascinating book, especially for lovers of the physical book, that conjures a long ago world and the kinds of people who lived in it.